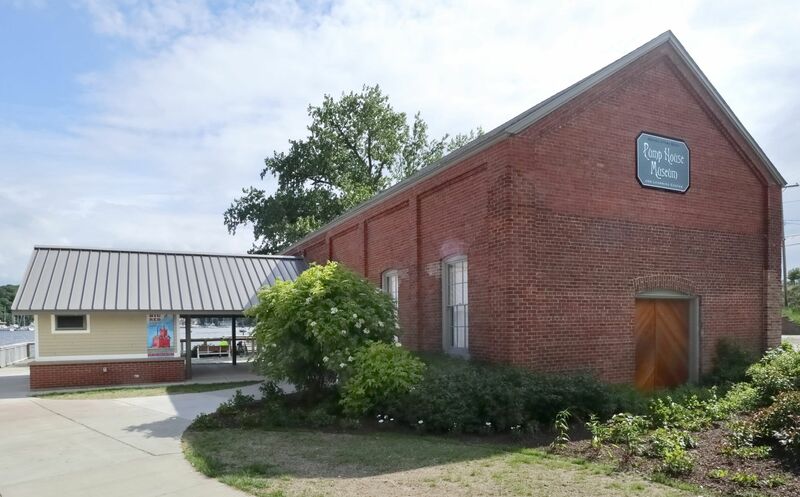 The Pump House Museum and Learning Center is open for regular hours during the 2019 summer season. Weekends only in June from 1 to 5pm. Every day July 1 through Labor Day from 1 to 5pm. The Pump House Museum has been recognized as making a significant contribution to the cultural and educational life of Park Township and the west Michigan area. The Park Township supervisor has said that HOBS and the Pump House Museum were the best investment in a community non -profit that the township had made. 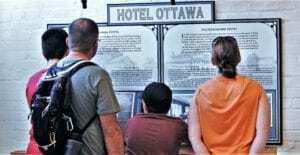 The Pump House is the last surviving structure of the splendid Hotel Ottawa Complex. It was built in 1901 as an Edison Electric Power Plant to provide lighting for the hotel and grounds. After the hotel burned in 1923, an existing pump was relocated to the building to provide water to the cottages at Ottawa Beach. Thereafter the building became known as the Pump House. In the 1980s public water came to Ottawa Beach, and the building was no longer needed. Over the ensuing decades it fell into disrepair. In the early 2010s Ottawa County Parks and Recreation Department, which now owns the building, began a partnership with the Historic Ottawa Beach Society to renovate the building for use as a museum. The work was completed in stages with the public invited in to see the society’s first exhibition, “Icebound Found: The Ordeal of the SS Michigan in 2016,” along with several related public events. The next year, the building received a new wooden floor and other upgrades. By 2015, Ottawa County completed a public toilet addition and HOBS installed air conditioning, window treatments, a reception desk, a gift shop, and a security system. In June 2018 HOBS debuted its first major exhibition, “BIG RED: From Navigational Aid to Cultural Icon”. By the end of the 2018 season, over 4,000 people had visited the Pump House Museum. The museum is now an important central feature of the Historic Ottawa Beach Park’s “Black Lake Boardwalk” that links the Mt. Pisgah Dune Stairs, to the Holland Harbor Fishing access, to the Lake Michigan Beach, accessible through the Holland State Park. The location has a tremendous base of visitors to the museum. Holland State Park draws over two million visitors a year. The Pump House Museum is a prime cultural attraction among all the natural attractions in the area.